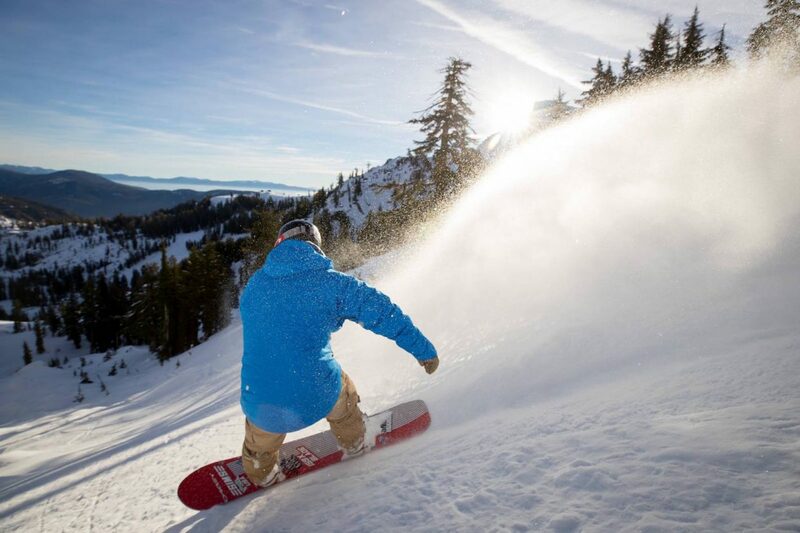 A snowboarder carves down Granite Chief at Squaw Valley, which opened Dec. 20 for the season. TRUCKEE, Calif. — After a lackluster start to the 2016-17 winter season, it appears a heavy dose of snow is in store just in time for Christmas. A winter storm warning will be effect for the greater Tahoe-Truckee region fro 10 a.m. Friday, Dec. 23, through 4 p.m. Saturday, Dec. 24, according to the National Weather Service in Reno. As of 8 a.m. Thursday, NWS was forecasting 1 to 2 feet of snow above 7,000 feet, with 8 to 16 inches possible at lake level. Amounts higher than 2 feet could fall along the Sierra Crest. The heaviest of snow is expected Friday afternoon through midday Saturday. Southwest winds of 15 to 25 mph — with gusts up to 40 mph at lake level and 100 mph across Sierra ridge lines — will make for whiteout conditions at times, according to NWS. 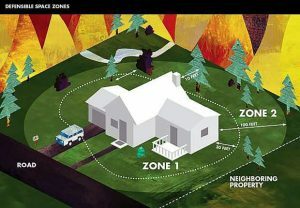 “Now s the time to prepare an emergency kit for your home and car,” according to NWS. “If traveling , consider shifting your plans before the storm arrives or Friday, or waiting until the storm passes. Remember to carry tire chains. extra food, water and clothing. Should the storm pan out, it will be a welcome sight for regional ski resorts that have seen little accumulation so far this season at lower levels and have had to rely on manmade snow in order to keep terrain open. 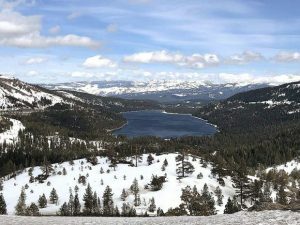 It would also mark the second year in a row — should the forecast pan out — the Tahoe-Truckee region would see a significant snow storm on Christmas Eve. In 2015, a heavy storm dumped upwards of 3 feet of powder at higher elevations.